Labor Day Weekend is often labeled as a bittersweet holiday since it marks the unofficial end of Summer. 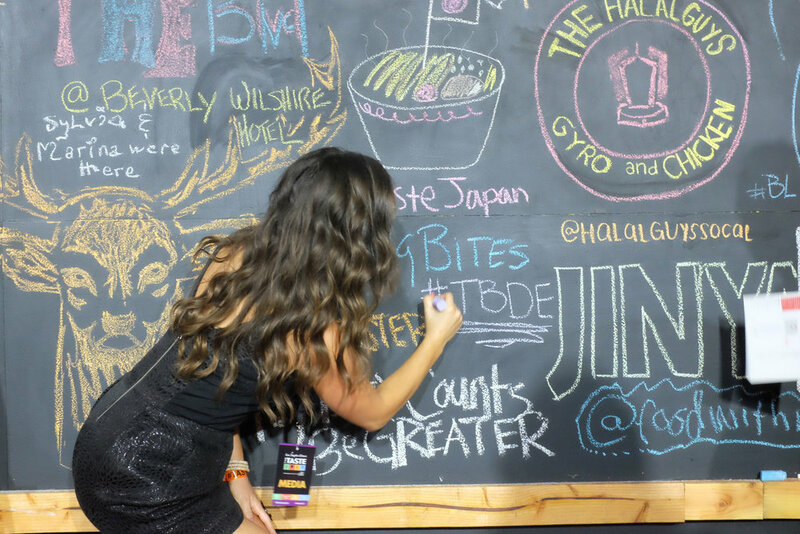 Not in Los Angeles; here, it simply means it is time for another edition of one of our favorite festivals: The Taste of Los Angeles, presented by the LA Times and its formidable host Jonathan Gold. The Paramount Studios lot is an amazing place to host an event like this. The festival features many of the city's great chefs, highlighting the melting pot of cuisines that make up the Los Angeles dining scene. Every year, the festival has delivered electrifying demos with some of the best bartenders in LA! This year, talented Brynn @bartendingpretty from Sotto and Rossoblu will be joined by Meredith Hayman (Michael's Santa Monica) and Gabriella Mlynarcyzk (Bar Accomplice) on stage during Saturday night's Dinner with A Twist, hosted by Jonathan Gold (LA Times) and Jenn Harris (LA Times). We canot wait to see cocktails center stage once again at this year's edition. So what else is in store for this year's edition? We are eager to find out as the festival draws closer. Until then, time to catch up with our host Laura Odegard, which had a blast listening to amazing stories and tasting drinks alongside the magnificent studio lot in last year's edition. Our initial time at the Knob Creek popup bar put us behind schedule right from the start. Many muddled and mixed drinks later, we settled for a roadie featuring a combination of honey, lemon and lavender bitters shaken with 2 oz. of smooth rye whiskey. Steps ahead, we all took turns as we tasted other simple but great cocktails ranging from the refreshing Bulldog's G & T, Zyr Vodka and two different types of Don Julio margaritas. Next up, Laura enjoyed a real taste of Japan with true sake connoisseur Toshio Ueno. She was able to learn about premium sakes from one of the most trusted sources in the game. It was then we first asked the question: "Why in the world aren't we drinking more sake?" - I would revisit this question with Toshio a few months later. Staying with the Japan theme, we then moved on to Whiskey with Laura then tagging along with the folks at Suntory Toki Japanese whisky to pour some fresh Japanese Highballs. A few mugs later, it was time to once again move to the next station. Pro Tip: You will want to come hungry to a top notch food event like this one. As we graze over samples , attend cooking demos with top chefs and mixologists along the way, we come to our final stop at the Don Julio truck stop parked by the lights and right under the Paramount water tower. One epic picture for the road. Raise your glasses to The Taste. Don't forget to TAG #TheBestDrinkEver with any great cocktails you try at the event. Cheers!